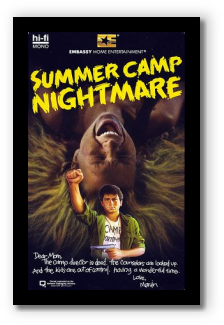 Perhaps in a subconscious effort to process something as horrific and as unfathomable as the 1977 Girl Scout murders, Hollywood gave us a glut of horror films using a summer camp as their backdrop. Only after the trial and the sudden death of Gene Hart, do we ever see a movie where young people are killed brutally at a summer camp. 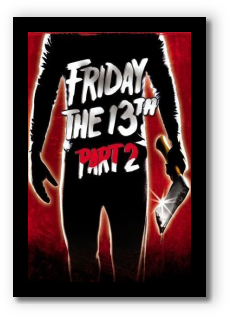 This sub-genre of the popular 1980's slasher films first came to the screen in 1980, followed by an endless list ofsequels of varying success and quality, These films continued in popularity through the early 1990's. 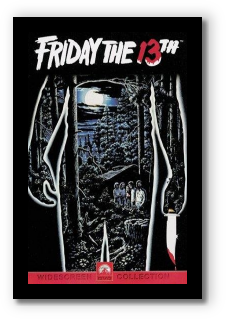 In my brief and perhaps rather meaningless research into horror movies that take place at a summer camp I can not find another that pre-dates Friday the 13th. 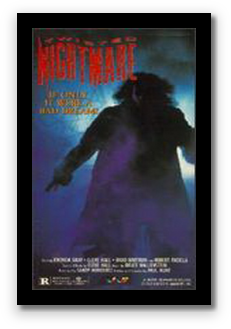 I hesitate to say this, but even slasher film screenplay writers, like all writers and authors, do not write in a vacuum. They draw inspiration and ideas from real life events. 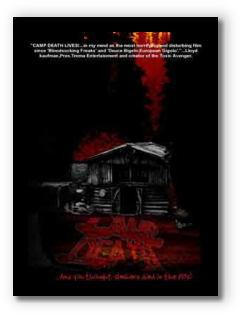 While there are no examples I can find of a writer or director admitting that the Camp Scott murders "inspired" their screenplay, the timing is fairly suspicious for this very specific setting and genre of film. 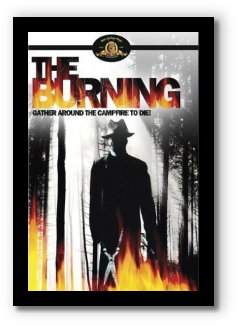 Even though telling frightening tales around the camp fires at summer camp has been a tradition for decades, a movie actually portraying such dark deeds does not come to theaters (or your VHS player) until after the Camp Scott Murders in Oklahoma. **Nothing on this page of the website is meant to be in bad taste nor meant to make light of the real horror that took place on June 13th, 1977 in Oklahoma. 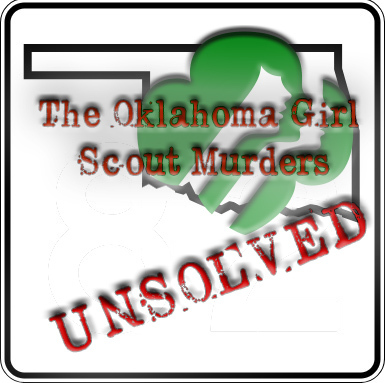 The murders at Camp Scott were not planned out by a Hollywood director or writer. The victims of the real crime do not reopen their eyes and go to eat lunch after the director yells "CUT!". The real victims truly suffered and are gone. For better or for worse, it does appear however that there is an odd legacy to the tragedy at Camp Scott. In 1957, at Camp Crystal Lake, a young boy named Jason Voorhees drowned. In 1958, two camp counselors were murdered. In 1962, fires and bad water thwarted the camp's reopening. Now, in 1979, Steve Christy finally reopens Camp Crystal Lake with the help of a few new counselors. Ignoring the warnings from a local wacko, the murders start once again while a mysterious stalker prowls the area. Two months later, after the tragic incidents back in 1979, the only survivor was mysteriously murdered. Five Years later, Paul Holt opens a Counselor Training Center, at Packanack Lodge, near by the old Crystal Lake Camp. Ignoring once again the warnings from Crazy Ralph, murders began again. After a horrible boating accident kills her family, Angela, a shy and sullen young girl, moves in with her eccentric aunt Martha, alongside her protective cousin Ricky. One summer, Martha sends the kids to Camp Arawak. 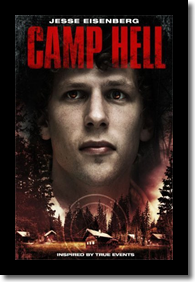 Soon after their arrival, a series of bizarre and increasingly violent accidents begins to claim the lives of various campers. Angela Baker, from Camp Arawak, Is now Angela Johnson, a counselor at Camp Rolling Hills. She hopes that the other campers are nice and aren't getting in trouble. But not all the campers are perfectly nice, so she kills them hiding the bodies and the other campers that she sent them home. At Camp North Pines for Boys, the campers, led by the charismatic Franklin Reilly, stage a revolt against the strick owner, Mr. Warren, and lock him and the rest of the councelers up and take over the camp for themselves. But the revolt soon spirals out of control as the boys also lead a takeover of the nearby girls camp as well. Then, Mr. Warren is accidently killed trying to escape. A group of teenagers win a trip to a summer camp they had attended as children. However, soon after they get there they begin to disappear one by one. The survivors suspect that the disappearances may be connected to the death of a handicapped child at the camp years before. 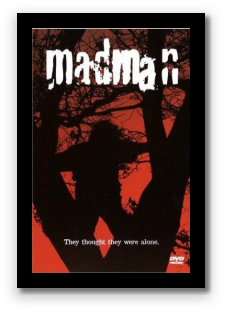 Tensions run high at a long deserted summer camp where an independent slasher film is being made. With the clock counting down there is very little time for retakes and shooting scenes over. What begins as some minor squabbling between cast members and crew becomes an unscripted blood bath. No need for special effects when there is a machete wielding psychopath around. At the end of every summer, the children of a Christian community from a suburb of New Jersey attend Camp Hope. They travel deep into the woods far from any distractions the world provides. Here, the children are taught the ways of the Lord, the perils of the flesh, and the horror of the Devil. A charismatic priest leads them in their training. But, he unknowingly has brought something with him, something evil. AN ODD POP CULTURE LEGACY?